I very rarely talk to you about how much I make from my own matched betting. Whilst we here at Beating Betting are typically happy to share everything we know with you, it’s nice to keep a couple of things private, y’know? We’re here to inform. To teach. To inspire. …and I’m grabbing the bull by its big, fat, spiky horns. I’m delighted to say that April 2017 was a record month for me. Within this post, I’m going to reveal the exact profit figure I earned in that record month. I’m also going to show you how I went about achieving it with a single set of accounts. Hopefully you can replicate some of my success over the coming months. I put around 40% of my matched betting time into sports and around 60% of my time into casino in the month. These are just estimations and it’s not important that you follow this structure – do what you’re comfortable with. Was it a lucky month? …but good luck can be repeated. By putting in months of hard work, placing bets even when I didn’t really want to, I truly feel this luck was earned. I always give myself chances of hitting big wins. I’ll generally hit one a month, maybe two if I’m lucky. In April, I managed several. I’ll talk you through them in detail. Update: I beat this record month! I’ve given information about this at the end of the post. I made £2,520.44 profit via sports in April 2017. This isn’t my best monthly sports result, but I’m still absolutely ecstatic with it. I probably put in around an hour a day in this area on average. There were many days where I didn’t place any bets at all. However, there were some days where I dedicated a lot of time into it, specifically the Grand National. We’ll talk about that race in more detail shortly. On the 2nd of the month, I hit a £380 profit via a Double Delight win on Chris Ashton (£50 stake) in the rugby. On the 10th of the month, I made £303 via a Rule 4 in my favour on the horse racing. On the 25th of the month, I made £110 Betfair trading the Ronnie O’Sullivan vs. Ding Junhui snooker match. …and going back to the 8th of the month, I made £1,194.16 on the Grand National. …and hitting 5th place for the mega boom via a bookmaker offering an ‘extra’ place on these each-way bets. Many of the arbs were generating me between £5-£20 per horse, meaning I could afford to take slightly larger losses on a couple of other horses in an effort to guarantee the fact that I’d hit 5th place. That allowed me to get the entire 40-strong field of horses covered! 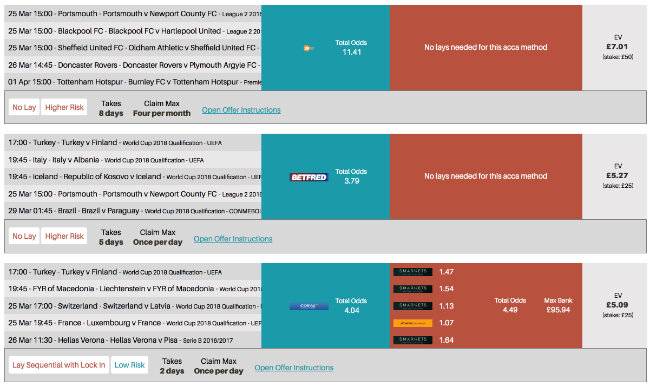 I did this using The Eachway Matcher on Oddsmonkey – this is the tool I use for generating the bulk of my sports profits each month. There is also Each Way Sniper; this has more features but is more expensive – it’s a brilliant alternative that we’d also recommend if you’re not on a budget and want some added efficiency. If you think this seems like a big task to cover the whole field – it is. It probably took me around 5 hours on Grand National day to get the field covered. There’s no way I’d have managed to cover even half of the horses without the tools mentioned above. In total, I placed bets with 13 different bookmakers. 4 of these bookmaker accounts were gubbed in the past – which makes them perfect for these scenarios! Gubbed accounts still qualify for extra places. By using these accounts, it meant that I could get on as many horses as possible without fear of losing promotions (because I’d already lost them!). When it came to the result of the race – as I mentioned earlier – I did have some good fortune. I hit the absolute best outcome I could in the ‘extra’ 5th place – Gas Line Boy. I had £30 each way on him at 80/1, returning £907 and change profit. I unfortunately missed out on several chances I had at hitting 6th place (right horse, wrong bookie scenario) which would have been an even more incredible result. I made just over £400 profit via accumulators throughout the month. Since reviewing MatchedBets, I have been really getting into accumulators again via their tool ‘Acca Backers’. I placed 36 no lay accumulators generated via Acca Backers, making an average profit of £11.41 from an average stake of £25. This performed to a level that was above EV – the Expected Value – which had estimated that I would make around half of that level of profit. I had a bad performance on ‘no lays’ back in March, so I guess this was me seeing the positive shift of EV back in my favour. My remaining profit came from smaller offers and loyalty bonuses. If I could turn back time, I wish I would have invested more time into more sports offers. I know that many people made really good money via these…and I just got a bit lazy if I’m being honest. It goes to show that I wasn’t working flat out to achieve this – far from it. This is nowhere near a ‘full-time’ commitment for me. In fact, most weeks, I hardly place a single bet during regular working hours. With a little more effort, we could all make a chunk of additional profit. I made £4,140 profit via casino in April. You might think to yourself that I got lucky – and you’d be right, to a degree. My results were above EV, that’s for sure. In February, my results were absolutely awful (EV-wise) on casino. In March, results were average. In April, I think I hit the positive upswing that I’d been due since February (and perhaps longer). If you want to know how I calculate EV, I use EV Maximiser — check that one out by clicking here. This is because I also use Profit Maximiser for my casino-related matched betting, and they post the EV of offers based on recommended slots and stakes. Remember, most matched betting companies don’t accurately calculate EV – simply because they’re unable to factor in variables such as stake sizes and the variance of a particular slot. This is where Profit Maximiser stand out and it’s the very reason I am signed up with multiple companies. I attempted 51 regular casino offers in the month. I class a ‘regular casino offer’ as a deposit bonus with wagering. Some were new sign-ups, some were reload offers. The majority of these were high risk (remember, don’t attempt these if your bank does not allow). My average buy-in was around the £150 mark. I bust out on 38 offers and completed wagering on 13. This gave me a bust rate of just below 75%. However, on the offers I didn’t bust out on, I hit some nice wins. This started on the first of the month, hitting a £1,764 win on a ridiculously good offer posted on Profit Maximiser – a 500% bonus on a £40 deposit. On the 21st of the month, I made £910.60 via a 100% match offer up to £50. On the same day, I made £886.40 via a 100% up to £50 offer on a different site (part of the same group). I hit many other wins too, typically £200-£600, but those above were the biggest. You’ll notice that my income in this section doesn’t really add up to the total profit listed above – it will probably appear too high. That’s because you suffer losses as a result of variance with casino offers. My biggest losing streak was just five offers, which included four £200 buy-ins and a £50. This has no doubt been my best ever month for positive variance, but it still pains me to see losses. A large portion of the revenue I generated (which is in addition to the 51 regular offers I completed above) was via a simple loophole that was posted to Oddsmonkey. I attempted this loophole once per week for three weeks and made £840 in total. 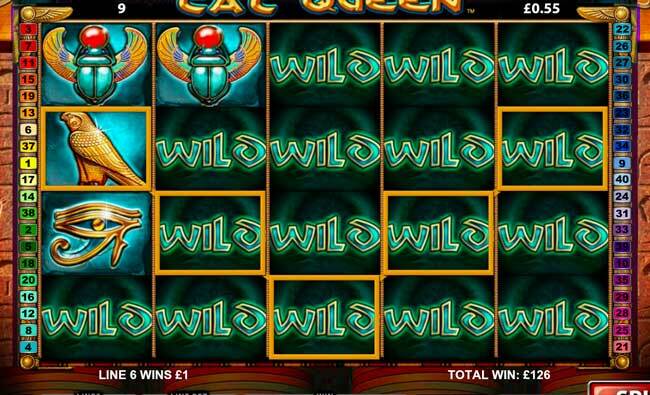 There were also many other smaller offers I attempted – things involving free spins, easter bonuses and whatnot. This accounted for just a small amount of income as I was not particularly lucky on these. Whilst this obviously doesn’t contribute to April’s profits, it shows that free spins are always worth doing – especially with no wagering requirements like the one above. In total, I made £6,660.44 profit overall. It’s important to start thinking ahead for how this can be replicated over the coming months – particularly as the football season is coming to a close. In my first year of matched betting, I made the huge mistake of taking the summer off. …it meant I was spending my profits too. And far too much of them! This summer, I’ll be focusing on three main areas: tennis, horse racing and casino. I am also going to make sure I put additional effort into my football betting – particularly standard reloads and more accumulators – before the season ends. There will be other sports available to bet on over the summer too that will enable me to generate consistent earnings throughout the football off-season. I know there will be people out there that think the profit levels I’ve spoken about in this post are unattainable, and in contrast I know there will also be some serious ballers out there that think my profits are nothing to shout about. However, we are all growing. You don’t need to compare yourself to other people. Just keep improving, keep increasing your profits, and be a better – richer – version of yourself than yesterday. I wish you the best of luck in trying to achieve your record month some point soon. How did you get on last month? 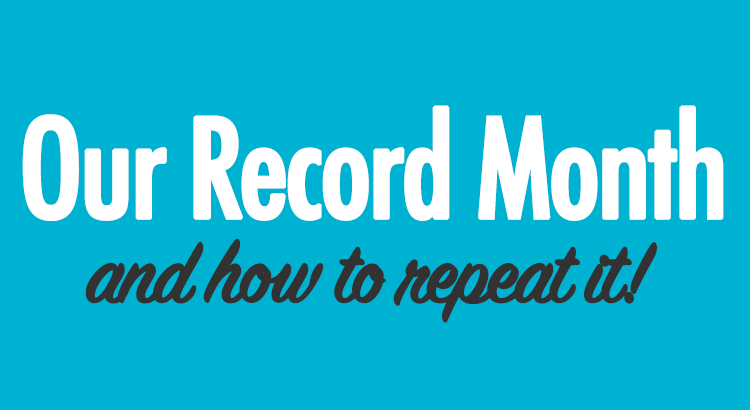 Update: I had a new record month! I won’t list all of the ins and outs like I have above because it mostly came down to one big win and a lucrative VIP scheme; it’s much less repeatable than what I’ve documented throughout this post. However, it was my first 5-figure profit month. Boom! Glad we could offer some inspiration, Ben! As far as bankrolls go, it has been built up over a couple of years of matched betting – dipped into it for a holiday here and there but that’s about it. So it’s big, but it’s not unattainable. I don’t keep a ridiculous amount in my exchange, I just deposit extra for big betting days and withdraw afterwards. Hi, I was wondering if matched betting affects your credit rating in any which way ? May I borrow your brain? Just read the whole thing, great inspiration. I just wondered what a bog standard boring lazy month is for you? I’m sure not boring either way of course! :) but I’d like to know what you make in an average month and how much time a day for that? I am quite lazy all of the time really, a couple of hours a day at most. I don’t really like to talk about how much money I’m making but there are a couple of references on this site if you wish to do some digging – it’s not a ridiculous amount, just a nice income from home without having a boss! Hi Luke, i want to give this a try. would you recommending signing up to more than one site i.e oddsmonkey? Yeah, there’s always merit in having more than one membership if you’re wanting to take mbing seriously. Is it possible to make an income from this for years to come? I understand that mug bets are important but I know that some companies have been a little happy with their gubbing hammer as of late! This is something I want to do for a very long time so I’d love to know that it’s possible to keep accounts healthy for years! Thanks for your comment, Charlie. Honestly, I do not think this is something that will be possible in years to come – not to make a full-time income, anyway. There will always be an opportunity to make a nicer living though because these bookie promotions will only completely die out if they’re made illegal, or if matched betting is made illegal! I can’t see either happening. 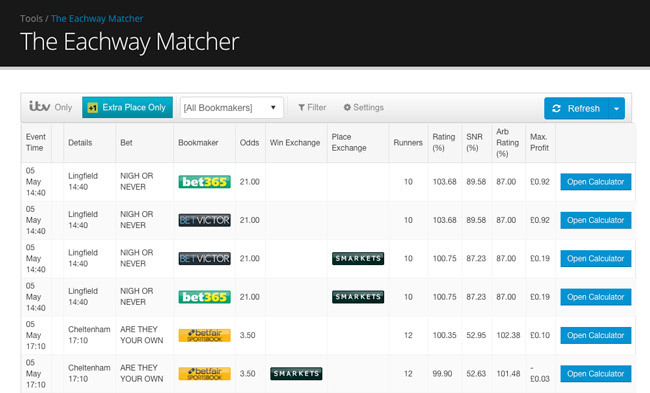 What would you say is the most profitable and/or most sustainable product – Eachway Matcher or Each Way Sniper? Although dome systems or techniques can produce good profits, if they’re of a certain nature the bookies tend to clamp down pretty quickly and the lifespan of the bookie account and hence profits is short.